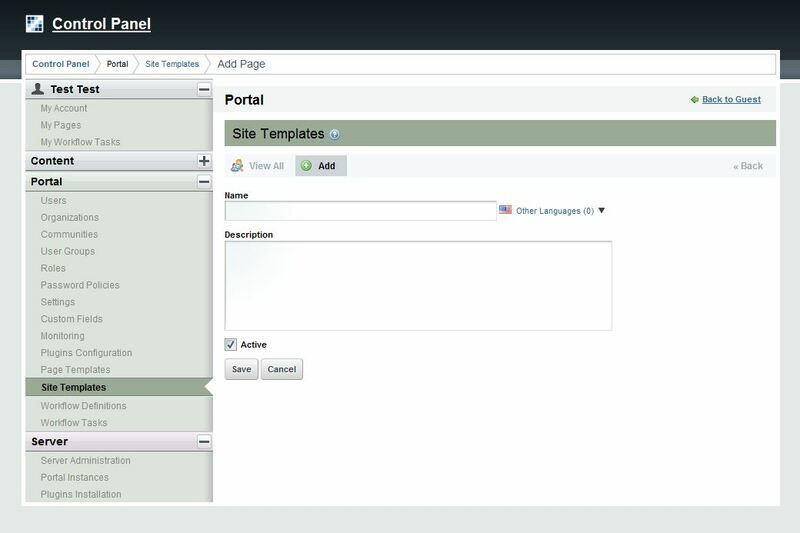 Liferay 6 offers feature of Site Templates , where in you can design a site template . Using the newly designed template you can create multiple communities and organization on the fly. Just apply the template while creating those communities . Site templates is nothing but a community which will act as a template for new communities. It will have Pages , Portlets , Content just as a regular community can. 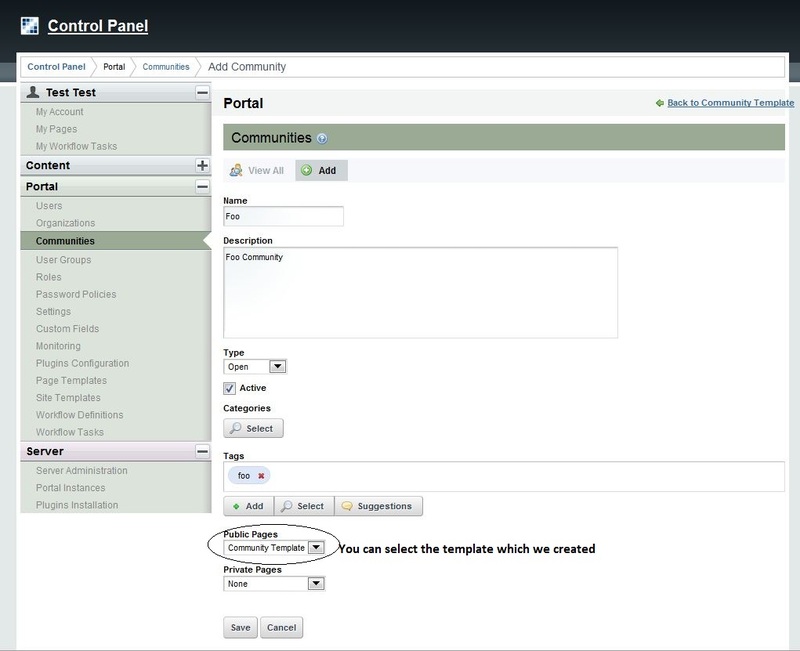 Here are the steps to create a site template and create a community using the newly created site template. 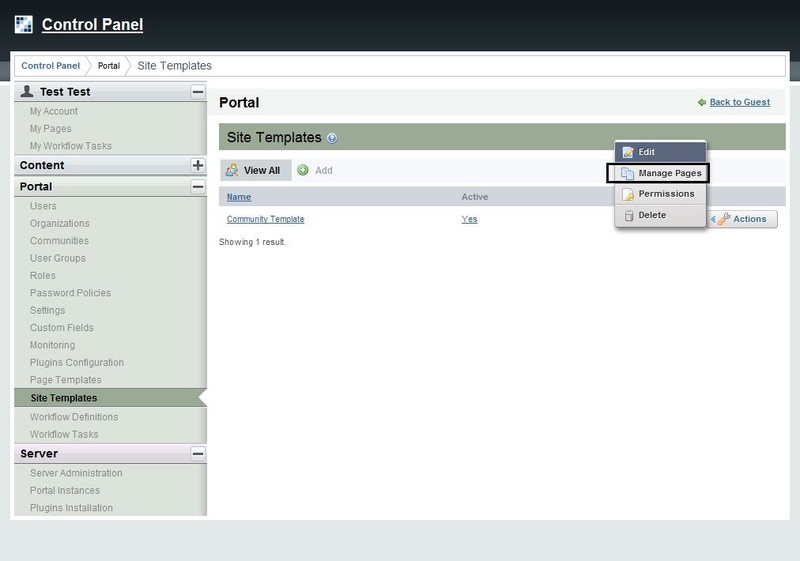 2) Create a new site template. 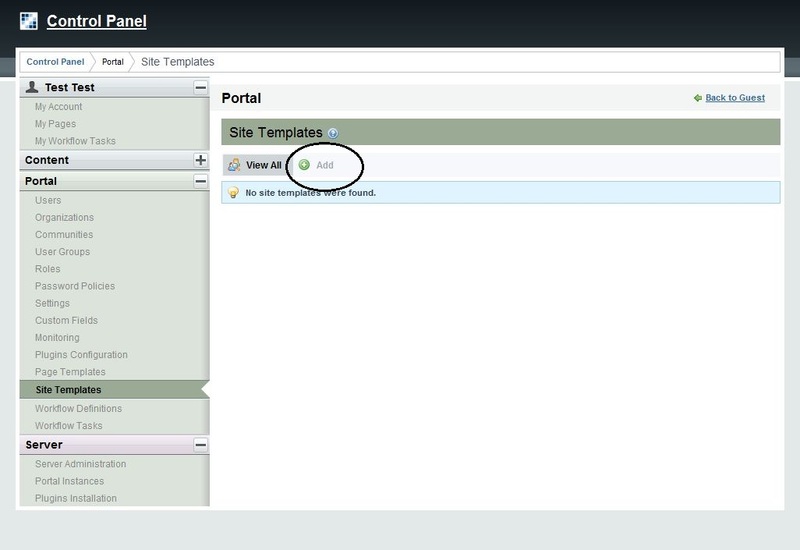 3) Go to Control Panel -> Site template , Click Actions (for the newly created template ) -> Manage Pages to create pages in the newly created template. 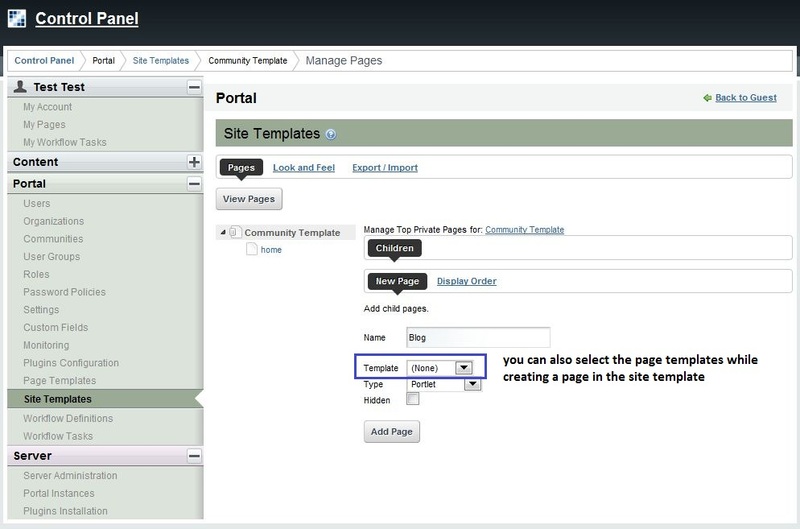 4) While creating the pages , you can also use the Page Templates to create a page without any efforts. 5) Once the page creation is complete. You can browse the template as regular community. Control Panel -> Site template. Click on template . at the bottom you will see Open Template link. Once the template is open , you can modify it as a regular community. 6) Now we will create a new community using this template. Go to Control Panel -> Communities . Click on ADD button to create a new community. 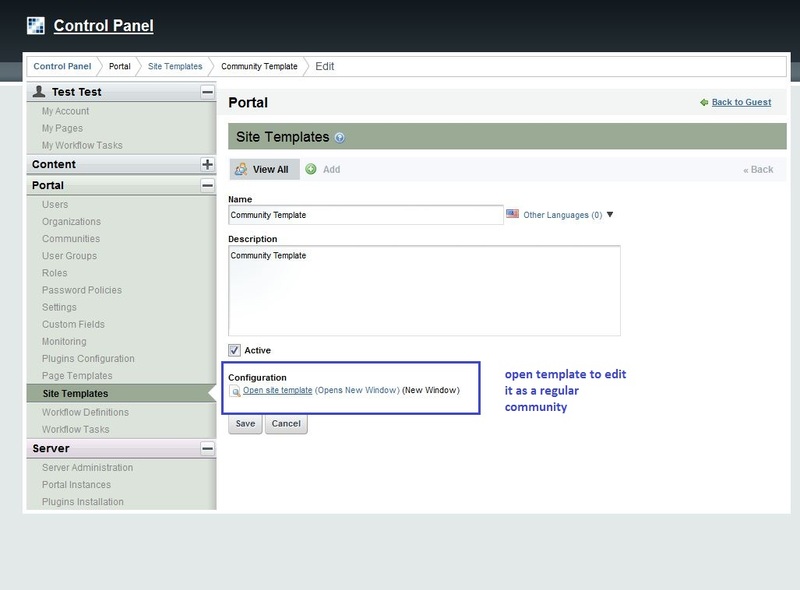 While creating the community you will get the option to select the available templates. 8 ) Now you can browse the new community. Which we created using the site template. You can use same template to create multiple communities also. This entry was posted in Liferay, Technologies and tagged control panel, java, Liferay, liferay site template, Liferay6, portal, site template, template. Bookmark the permalink. thank you for knowledge sharing its very helpful to me. how can i apply site template which i created to an organization in programming? ?